Located in Užice, Serbia, Prvi Partizan has been manufacturing ammunition since 1928. The Prvi Partizan production facility manufactures ammo for military use around the world and is well-known for the superior quality of their products. 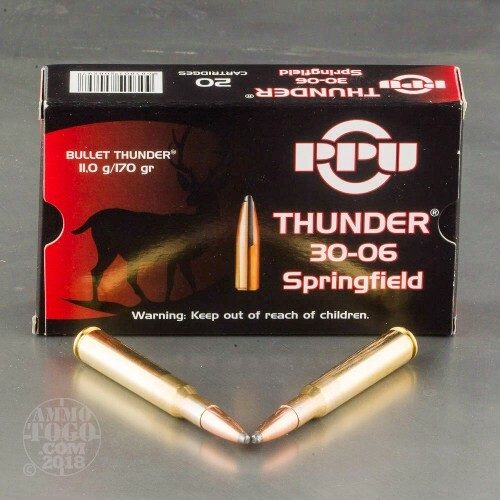 The company’s Thunder line of ammunition features a specially engineered round with a partition jacketed bullet developed specifically for hunting large game. 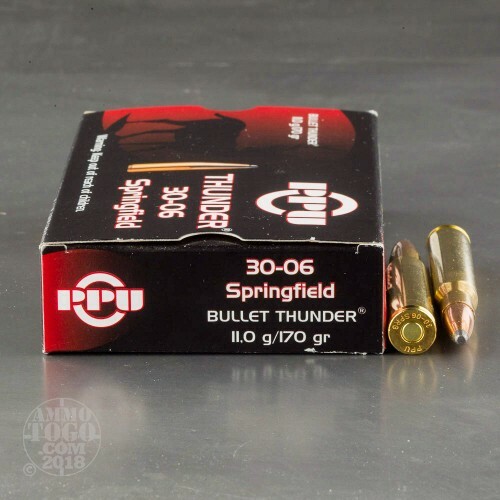 This package contains 20 rounds of Prvi Partizan Bullet Thunder .30-06 Springfield ammunition. 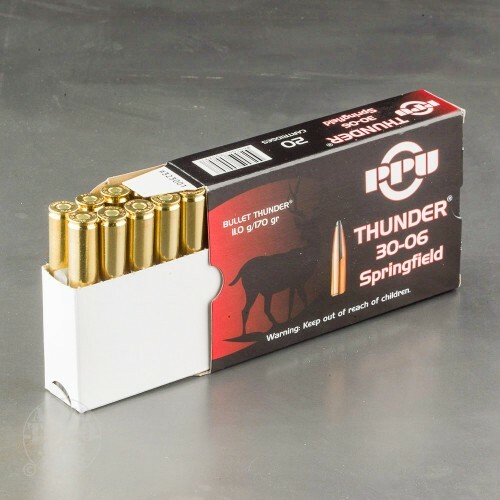 Each new production cartridge is loaded with a 170 grain jacketed soft point projectile, These bullets are specially designed to deliver devastating energy transfer, massive expansion, and controlled penetration for quick and humane kills. Each round features a boxer-primed brass casing and non-corrosive propellants. 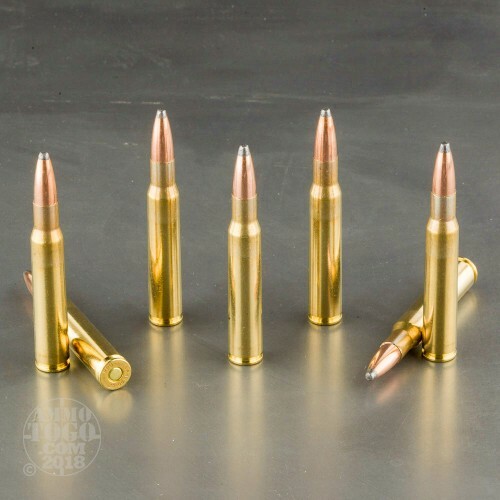 Leaving the muzzle at a velocity of 2430 feet per second, these rounds deliver 2665 foot pounds of muzzle energy.